With the help of our wonderful wwoofers we finally got around to mulching two new veg growing beds this week. We are still in the process of filling up our raised beds (which contained no soil at all when we moved here) with compost, which uses all we can make, so we are keen to establish some beds with nice deep soil where we can start growing root crops. 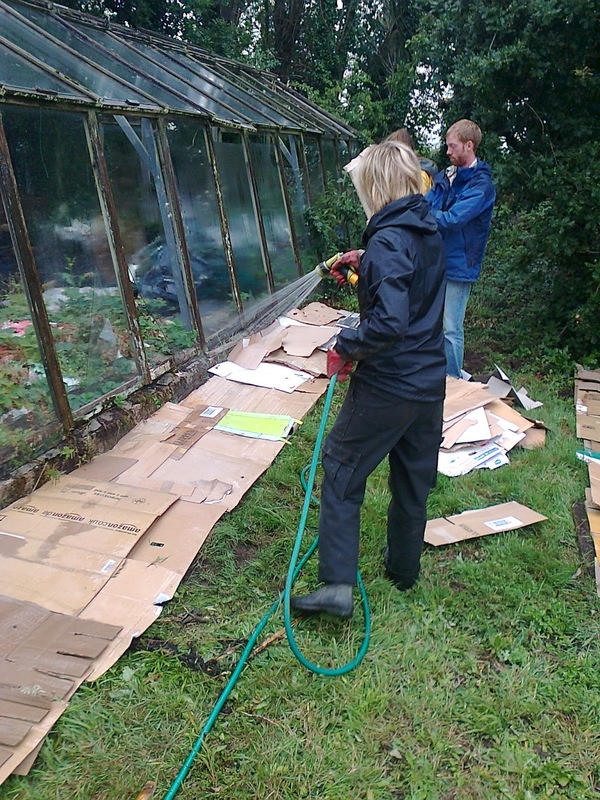 We have had the site tagged for a while and have been saving up cardboard to do a 3 layer organic clearance mulch. Ideally it would have gone down last winter, but that didn't happen, so we will keep it down for the rest of this season and all of next season to ensure the thick grass is killed off. This will give us the chance to add more layers next year and increase our top soil. 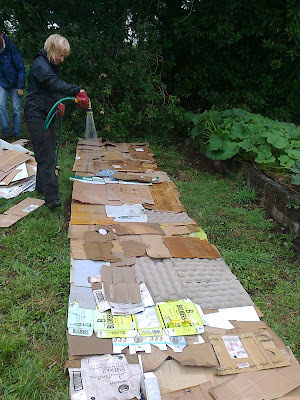 After laying down 3 layers of cardboard we dowsed them with water. It had rained for the previous few days so the ground was nice and wet - it is important that the ground is perfectly moist (not water-logged and not dry) before laying your mulch as the layers will reduce how much rain water makes it in to the ground beneath them, and will reduce the amount of water that can evaporate from the soil. 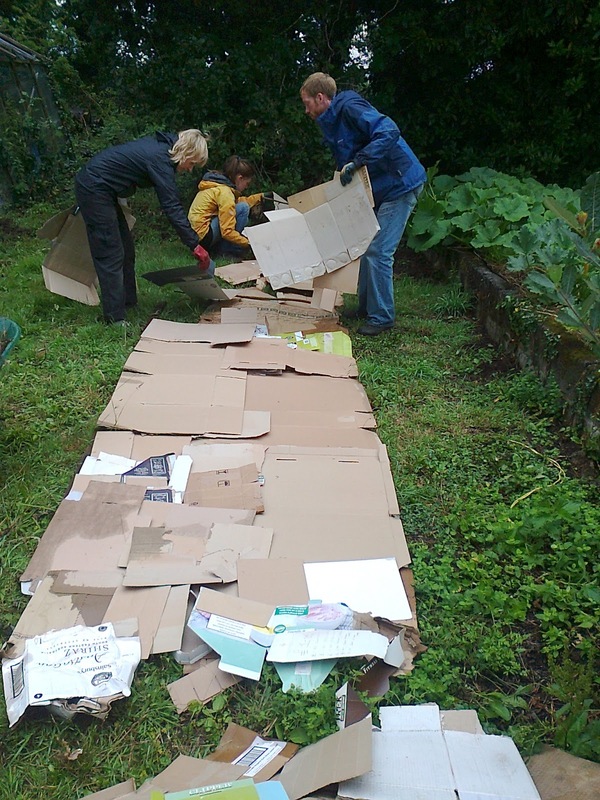 The cardboard will do the job of killing off the grass by providing a barrier and blocking out light. We made 2 new beds, one in front of the green house wall which was just over 2' deep, allowing for a space immediately in front of the wall where we won't plant due to the drying effect that walls have on the surrounding soil. 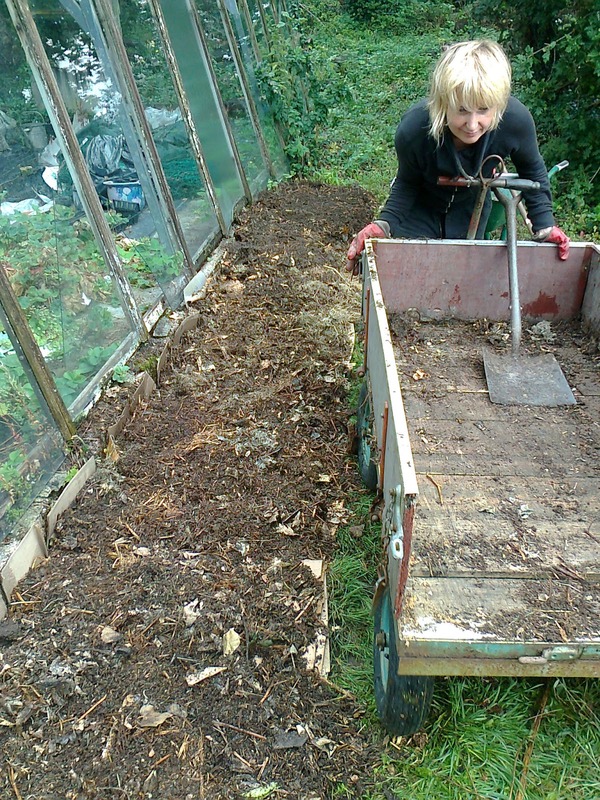 Our second layer was a mixture of compost and well rotted horse manure (fresh would have been better but we couldn't get hold of any at the time). This will add good organic matter to the soil, increasing its depth and the humus content. As our top layer we used bracken cut from another part of the land. We have an abundance of bracken and it's good to find a use for this readily available biomass! 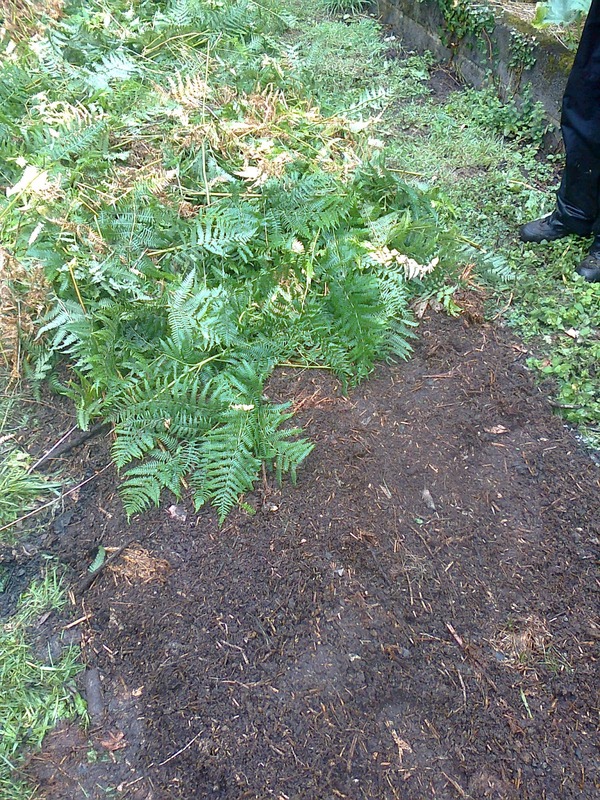 The bracken forms a good thick mat to stop our second layer from being eroded by the weather over time, becoming a seed bed and from drying out. It is imitating the cover of leaf litter you find on a forest floor which protects the rich top soil underneath. Soil likes to be covered up - soil life does it in the dark! 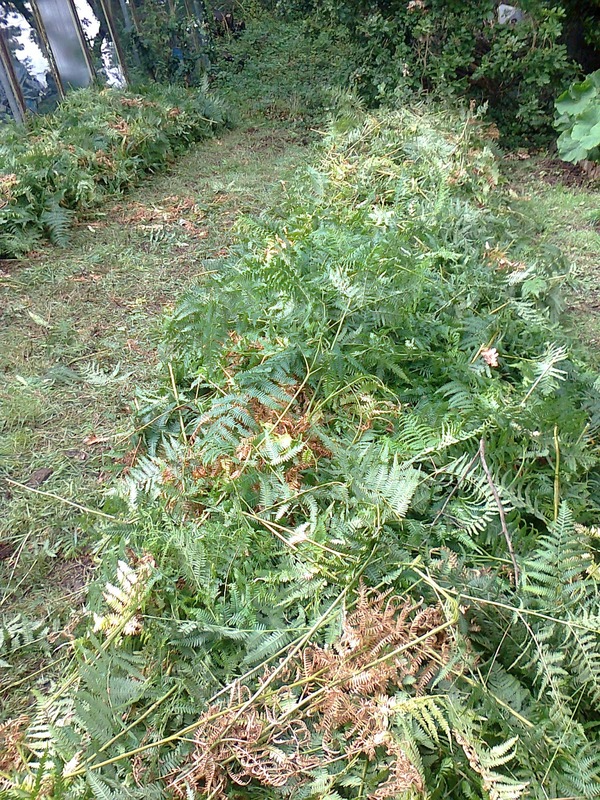 Over time the bracken layer will settle down and become brown and crisp. We are hoping to peel it back at some stage and add some fresher horse manure and more compost when we have it. The next ploy for our little team was to inoculate logs with shitake spores. 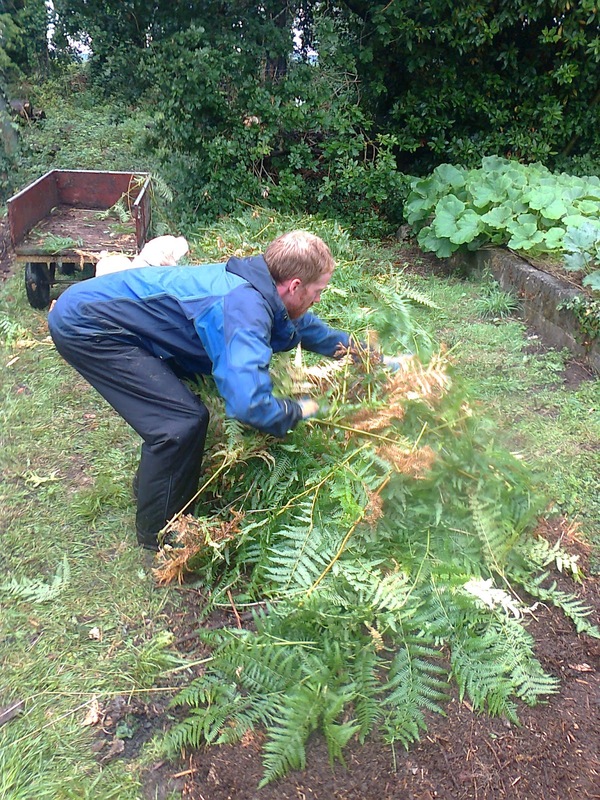 We had cut the logs a month before so that they were not too green and sappy, but not too dry - providing perfect conditions for the spores to establish themselves. First, Kim drilled holes at intervals along the length of the logs. Most types of wood can be used except for Eucalyptus, and for ease of moving should be cut to about a metre in length and be around 4" thick. 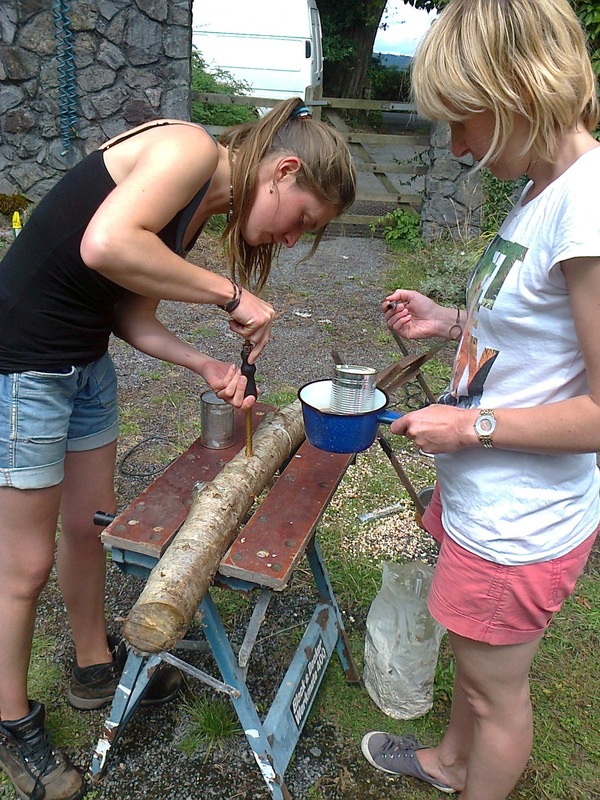 Hannah then used a special tool to inoculate the logs by inserting spores in to the drilled holes. The holes were then sealed by Veronique using food grade wax (normally used to seal cheeses). Doug then placed the logs in a pile at in a nice cool, shady part of the woods. We will wait now until we can see evidence of the mycelium in the end grain. In a log of this size it will take around 6 months. 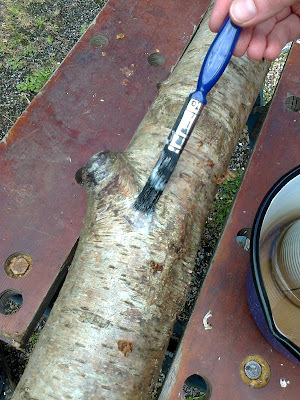 Shitake will fruit between April and October, so we won't be harvesting until then, but once the logs are ready we will 'shock' them in to fruiting. 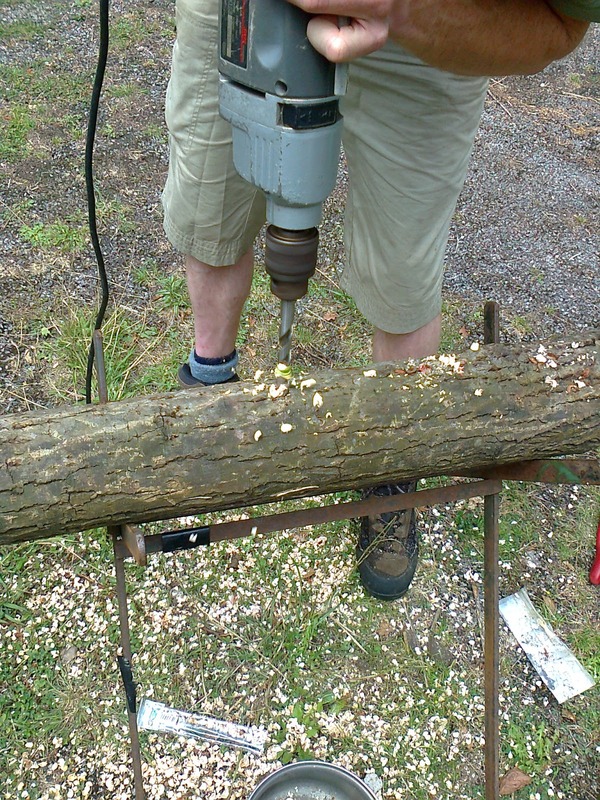 Sounds a bit mean, I know, but its a way to ensure the logs will fruit when you want them to. 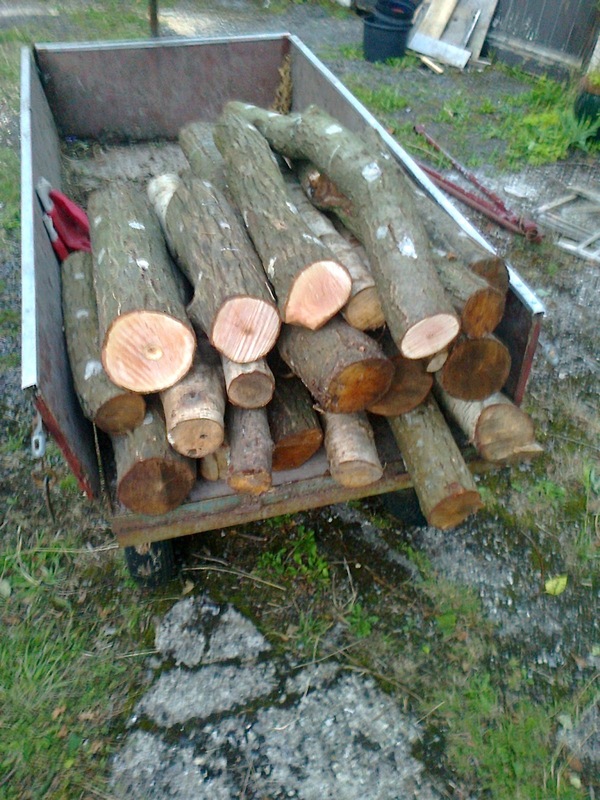 First the logs must be soaked in cold water (an animal water trough works well) for 24 hours. They are then removed and whacked, either with a mallet on the ends of the log, or by slamming them onto a concrete floor. They need to be whacked pretty hard to get a response! Then they logs are stacked on their ends against a shady wall and will fruit within a week. 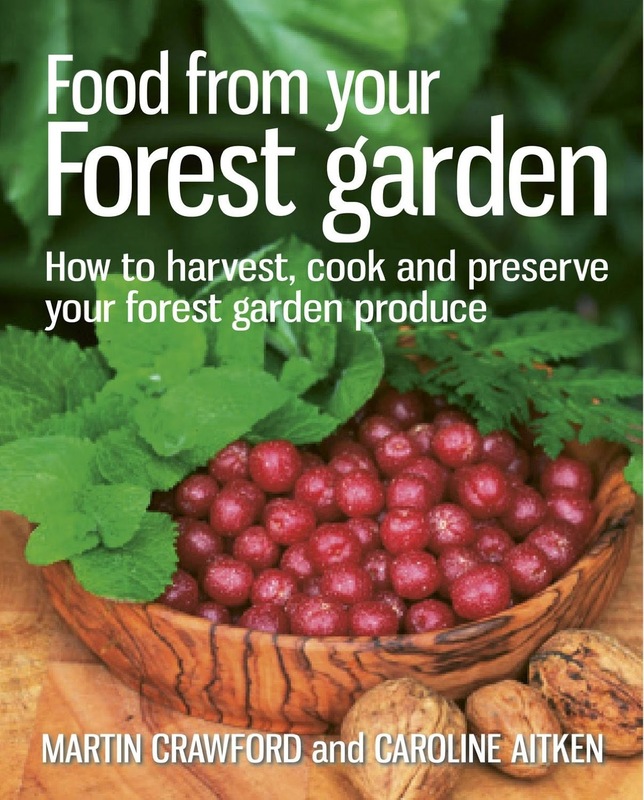 By controlling the fruiting in this way you can have groups of logs fruiting in rotation and be harvesting mushrooms throughout the summer. Sadly oyster mushrooms don't respond to being shocked and will only fruit when they're ready, but they can otherwise be grown in the same way.